NEED TO MOVE SOME WATER? A cast iron volute and impeller means this pump is durable and reliable while pumping up to 169 gallons per minute. 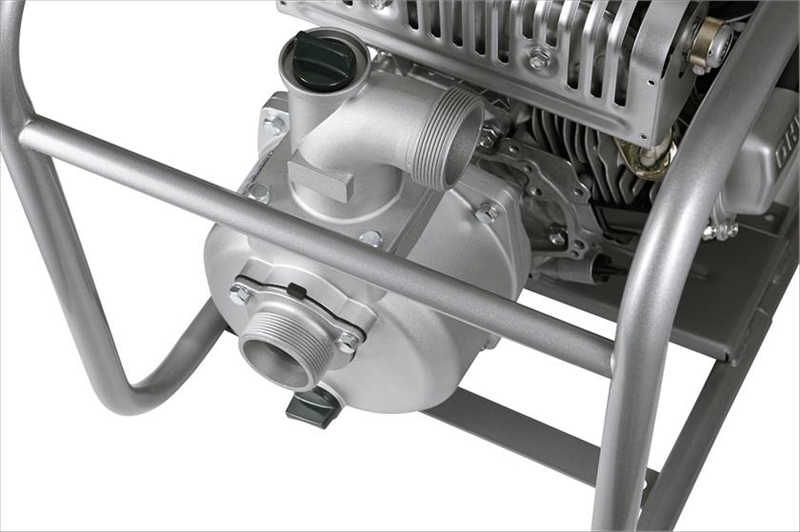 OHV engine - Improved efficiency, increased reliability, quieter operation. 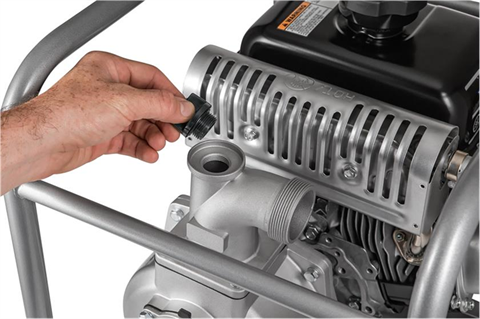 Cast iron cylinder lining - has optimal heat dissipation. EPA Emission Engine Durability Rating — The YP20G meets the strictest environmental standards; EPA and CARB. 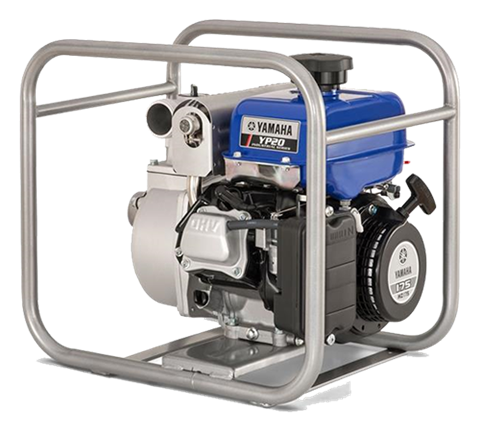 Factory Warranty - Covers the entire waterpump for defects in parts and workmanship for three (3) years when the waterpump is used for non commmercial, industrial or rental use. 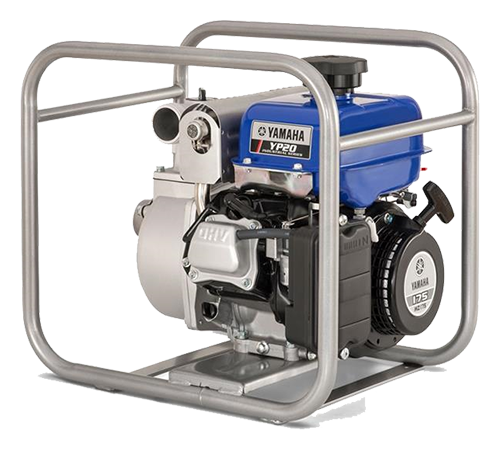 When the waterpump is used for commercial, industrial or rental use, Yamaha covers the waterpump for two (2) years. 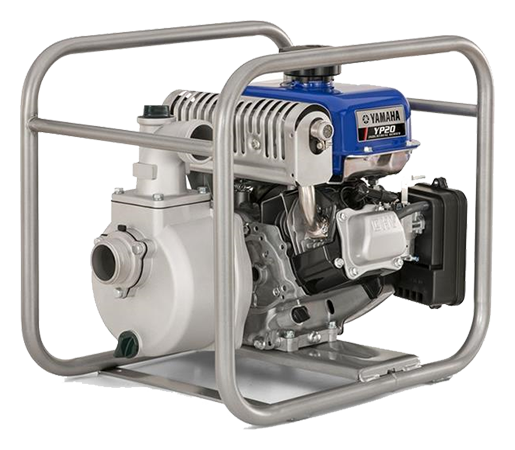 The YP20G uses a 171 cc, OHV 4-stroke engine that is quieter, more powerful, and consumes less fuel than comparable engines. 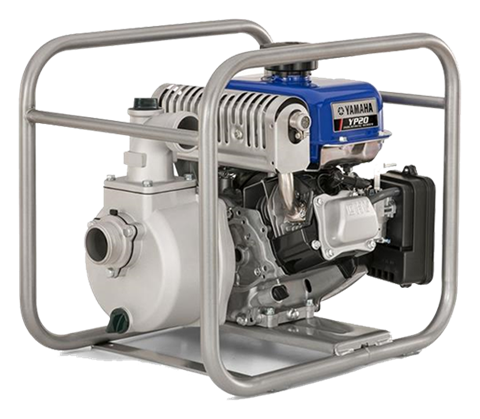 Pumps up to 169 gpm (10,140 gal/hr) through a two-inch port. Delivers an 88-foot total head, with a 26-foot suction head. Impeller and volute case are cast iron for greater strength and durability; and they withstand wear from grit, sand, silt, etc. Dependable carbon-ceramic mechanical seals are durable, easy to replace, and they reduce abrasion for long pump life. Standard National Pipe Thread (NPT) fittings connect easily with the suction and discharge hoses. 120 sec. / 16 ft.